The Citroën BX 16Valve is based on the regular BX, that has sold in millions all over the world. It is for many people the only experince they ever had with hydraulic suspension and often they were serviced by incompetent mechanics, giving them a bad reputation for being unreliable and expensive to drive. However many still exist because of them being fairly resistant to rust, and if taken care of the right way, they are comfortable, cheap and reliable for many years to come. This mod will be based on the top-model, the BX 16Valve which in its 2. edition was only produced in 3.944 pcs. It is based on original specs with original engine torque curve and will also handle like the original, being a little soft and so. Anders is doing the modelling from IRL photos of my car, while I adjust the performance and sound. 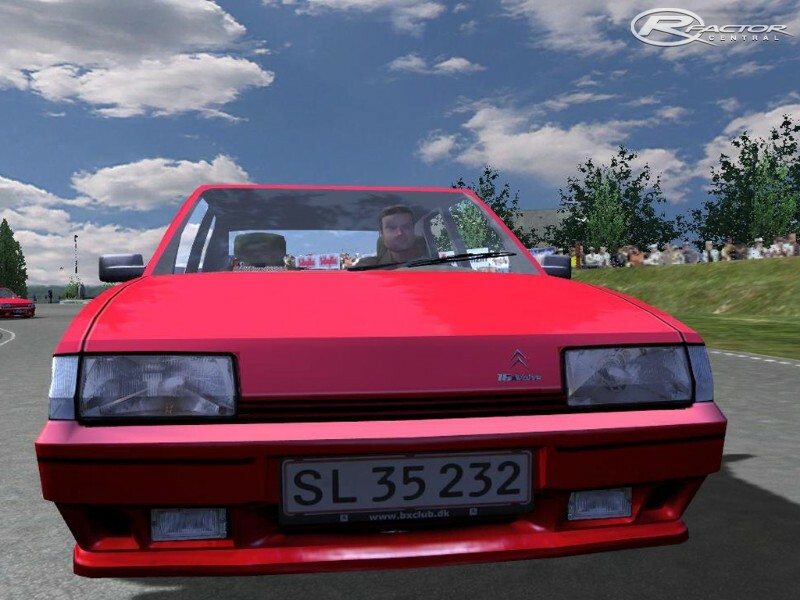 To make a comparison from real to modded car, have a look here: http://www.bilgalleri.dk/html/gal_visbil.asp?ID=11264&ipc=46137 and if you're also fond of Citroën BX, we have a danish club at http://bxclub.dk . Har altid elsket BX'eren! Kan ikke vente til den er færdig! Keep up the good work! Wen i cane drive? Grrrrrrrrrrr! Nice job but... Im Chrley Waiting. Well here's a status update of some kind. I still own the car in real life -its still going strong and I love it to bits. About the rFactor one, then sometime it WILL get finished. We've been reconsidering some stuff, like putting original wheels and and steering wheel on it - as well as release a race version. Shadows and textures needs some fixing too - and it would be nice with the original sound working as it should. As you see, we have not forgotten about it - but real life consumes both of us at the moment. It´s a pity that this car doesn´t get finished , is a nice car , good handling and an excellent cockpit , I asume that will never be finished , the beta link was posted in June 2009 , it will be great if somebody with enough skills could finish the job ( asking permission to do so ) , the only wrong thing I´ve found is the mirrors in the cockpit , they show what is in front instead of what´s behind , quite funny !!! Thanks anyway for the job done. Can we get a recent link with the most updated beta? Really good job, i love citroen, specially the bx. The model is great, i only have a problem with the mirror. I hope you will make a fix. ik snap d'r heuldahl gain zak van!!!! Could you give me some pointers on how to install this mod properly, because i can drive the car , but don't see any body and get the same GMT error. I have this message when i select the car: Error loading mesh file BX16V_BODY.GMT to memory. i'm watching the movies, and i see, that this mod will be finished! is a really good work, so congratulations!!! sorry me, i don't know to say inglish.